In 2017, after a decade of the U.S.-supported drug war, Mexico experienced more killings than ever – most of them committed with guns coming from the United States, legally or illegally. What can be done to stop the bloodshed with U.S.-sourced weaponry? This documentary brings together the testimonies of human rights activists, journalists, and people in Mexico directly affected by the violence carried by both government forces and organized crime in Mexico, with U.S. support. These include poet Javier Sicilia; journalists Anabel Hernández, Laura Carlsen and José Tellez; Hilda Legideño, Araceli Rodríguez, Maria Herrera, and Juan Carlos Trujillo, whose family members have been disappeared; and human rights defenders from Guerrero, Chiapas, and Mexico City. John Lindsay-Poland has written about, researched and advocated for human rights and demilitarization of US policy for more than 30 years. 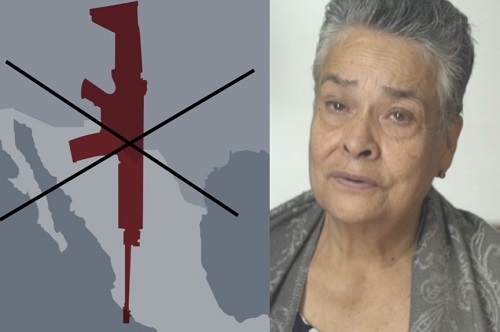 In 2017 he produced the documentary and companion report, Where the Guns Go: U.S. Policy and Human Rights in Mexico. He is author of Emperors in the Jungle: The Hidden History of the U.S. in Panama (Duke University Press, 2003) and Plan Colombia: U.S. Ally Atrocities and Community Activism (Duke University Press, 2018). He previously served the Fellowship of Reconciliation (FOR), participating in the 2012 US-Mexico Caravan for Peace, and visiting Ciudad Juarez five times as part of FOR’s work to address gun trafficking and the US role in violence in Mexico. He currently coordinates Stop U.S. Arms to Mexico, a project of Global Exchange, as well as serving in the Healing Justice Program of the American Friends Service Committee.